In 1910 Thomas married Alice Maud Larkin. 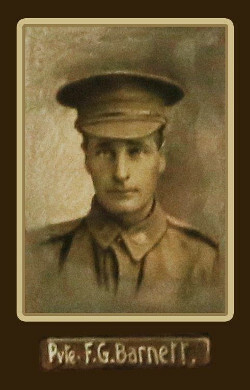 Returned to Australia on the 28th June 1919. Discharged on the 14thDecember 1919. Thomas and Maud lived in Beaconsfield until 1931. They then resided at 277 Dandenong Road, Malvern. Died on the 9thNovember 1960 at St Kilda, Victoria. Funeral service on the 11th November 1960, buried at Springvale Botanical Cemetery. “Flights from Fire -Escapes By Night. Dressing in the Bush – Beaconsfield Upper, Saturday.